Very very very Today show / GMA. Well...Liking the new theme and that headline bed is actually pretty decent. The wipe between the headlines and the headlines themselves I'm actually liking as well. Ticker has now gone and and replaced with individual headlines. There might not be any huge changes, but what they have done so far I'm really liking. GMB and ITV please leave it alone for a change!!! I must say I am liking these graphics, it has tidied everything up immensely. So all the fuss is about a logo change some new music and graphics and new wipes? Yeah, looks like the gradient rotates inside the logo. Quite nice. Oooh the Weather bug is back in the form of a bar showing three cities at a time. That's an improvement. And there is plenty of room in the clock bug. I'm guessing that's incase another situation like last year's Brussels incident happens again and the clock couldn't fit in the time past 10am. 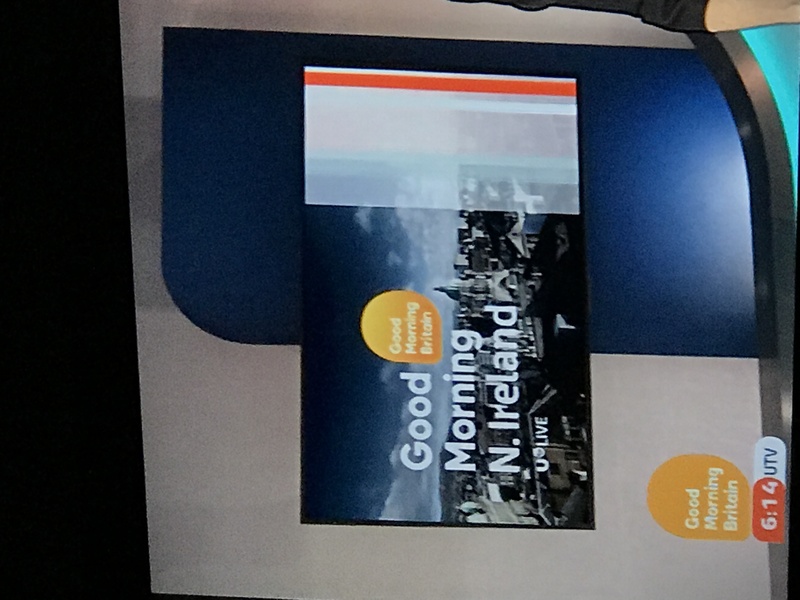 Strangely UTV have got the new graphics on the monitor with a new title "Good Morning N.Ireland" but someone has forgot to update the clock and logo!